Businesses adapting to advanced technologies often end up with complex and unproductive silos which eventually become difficult to either prevent or manage. In an evolving ecosystem that makes only the fittest and strongest survive, dynamic and variegated enterprises are empowered by equally dynamic and variegated applications. 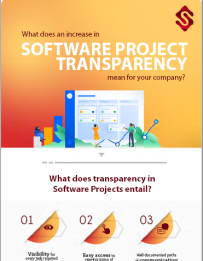 Consequently, only those design and implement applications survive and thrive, that are able to efficiently catapult operational performance across the enterprise. Reaching – and staying on top of the digital game – takes much more than a pleasant CX. We, at S-Square Systems, make every single CX relevant and synchronous with all parts of your value chain, all the while dismantling organizational silos and setting new terms of digital engagement. Going way beyond the proverbial extra mile, our EAS (Enterprise Application Systems) ensure that we deliver on our commitment to digital transformation. Our solutions help our customers refurbish their digital CX, effectively engage partner ecosystems, and leapfrog their operational & financial landscape. Add meaning, context, and relevance to Digital Disruption. Streamline personalized and persuasive experiences across channels and systems. Replicate unsurpassed customer experiences for the new omnichannel ecosystem. Make customer interactions more intelligent, dynamic and results-driven. Invite customers as co-developers of your organizational accomplishments while rewarding them at every touch point. A win-win roadmap for full throttle digital talent transformation. Leverage the power of innovation to create business-changing employee experience. Get one-touch access to best-in-breed HCM solutions. Nurture a talent-driven organization that raises the bar on excellence & customer satisfaction. Achieve business maturity, technology innovation, and seamless change management structure. Accelerate implementations, streamline processes and lower TCO with precision-laden finesse. Create unique and personalized CX and establish symbiotic multichannel partnerships. Transform your supply chain lifecycle, all the while driving efficiency and lowering operational costs. Unlock hidden opportunities in service delivery management and surmount new challenges with riskless efficiency. Traverse the different stages of supply chain maturity and get from good to great. 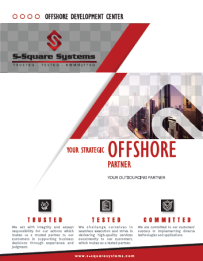 Cater to global enterprises and smaller local operations with equal efficiency. Assess business strategy in real-time to stay ahead of competition. Leverage industry-leading accelerators to deliver future-ready solutions across operating models. Win the battle against money constraints by leveraging a can-do approach that guarantees faster time to value. Cover Finance, Accounting, Governance and Risk Management with a comprehensive suite that enables smarter intelligence and greater agility. An all-encompassing best practices vault of financial management processes with end-to-end integration of ERP. We are living in an increasingly connected digital ecosystem, where overall business growth and market penetration, is as much based on longevity and extensibility of applications, as it is on their quality and business usability. Without a codified approach that encompasses the triad of mobile, web and non-web applications, organizations are inevitably made to confront their worst fears – losing out on long-term returning customers. With the internet pervading into the deepest areas of our lives and with IoT being that perfect cherry on the cake, we at S-Square Systems realize that the key to winning the game of customer happiness, is to master the rules of application-development & customer engagement, before breaking – and re-creating them. We adopt a holistic and long-term view of application development and are ever committed to crafting purpose-driven solutions that solve seemingly impossible business problems. 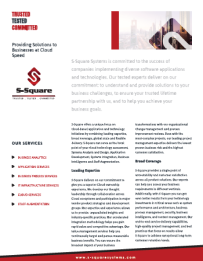 S-Square gives you all the information you need when you need it, to streamline and amplify all applications and systems that matter to your business. 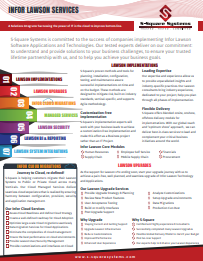 Unsurpassed efficacy throughout the application lifecycle – encompassing design, implementation, integration and testing systems. Ensure that all systems and processes are in place. Acquire and integrate new capabilities for heterogeneous systems involving emerging technologies. End-to-End and Failure-Resistant Deployment of Solution. Streamline data flow between various parts of the business. Hands-on approach to mission-critical changes. Align current and future business design with your project’s objectives. Translate technical business decisions into unsurpassed application configuration. Know what needs to be analyzed when to make better business decisions at all levels. Harness the potential of future-ready innovation before anybody else does. Save time and avoid risks, all the while upscaling your efficiency. Eliminate Third Party Compatibility Shocks. Proactively Minimize Product Lifecycle Impacts. Keep security vulnerabilities at bay. Manage all dependencies to meet your business goals. Deliver tangible results faster than the speed of now. Drive better from IT investments, using a vendor-agnostic approach. Accelerate large-scale implementation, all the while lowering costs and risks. Leverage-white glove solutions and support, driven by a benefit-led mindset. Actualize the true benefits of your IT investments. 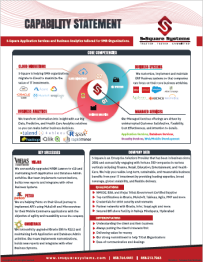 Guarantee pain-free experience in application development across platforms. One-stop for all mobile application development requirements. Ensure on-time, on-budget global delivery with effortless efficiency. Leapfrog scalability and usability with cross-platform, intuitive apps. Infuse life in your IoT and mobility experiences. Become co-creators of a win-win mobile application future that thrives on agility.